Peterborough United defender Steven Taylor has completed his move to New Zealnd-based club Wellington Phoenix. 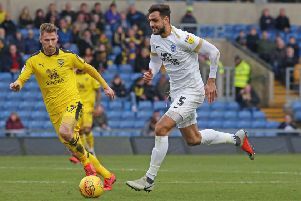 Taylor (32) was deemed surplus to requirements by Posh manager Steve Evans at the end of last season and will now play for the only Kiwi club in the A League. Taylor is thrilled with the move. He told his new club’s website: “As soon as I was aware of the interest, I knew it was an opportunity that I couldn’t pass up. “I know that I am joining an exciting project as well as playing in one of the best leagues in the world in the A-League”. Taylor played 51 games for Posh last season.